We all like to believe that every item purchased and every gift received is exactly what we’ve been wanting, needing and hoping it to be. But the sad truth is that we know this will never be the case. So what’s worse than receiving yet another tacky Christmas sweater or finally ordering that pair of shoes you’ve been eyeing and then realizing that you ordered the wrong size? Having to go through the process of returning it. As much as we all dread it, everyone has to go through the returns process sooner or later. That’s why we’ve rounded up a few different merchandise return policies so you can see how the “big guys” do it. After all, a good return policy is essential for keeping your customers happy and your ecommerce business in tip top shape for the upcoming holiday season and the rush of returns that is sure to follow. One of the most “consumer-loved” and consumer-friendly return policies is that of Nordstrom. Bottom line, they don’t have one. Nordstrom handles their returns on a case by case basis with “the ultimate objective of satisfying the customer.” They also make it very easy and convenient for shoppers to return products. Customers can return the item in-store, or they can print a pre-paid return shipping label from Nordstrom’s website and return the package via the U.S. Postal Service. While this may result in a few losses for Nordstrom here and there, their customers are always happy and will continue to come back for more. Another retailer that provides a consumer-friendly merchandise return policy is Costco Wholesale. Costco offers a full refund on every product purchased, with the only exception being that televisions, computers and other electronic devices must be returned within a 90 day timeframe. All items, whether they were purchased in-store or online, can be returned in-store at no additional cost. Costco.com returns include shipping and handling fees. 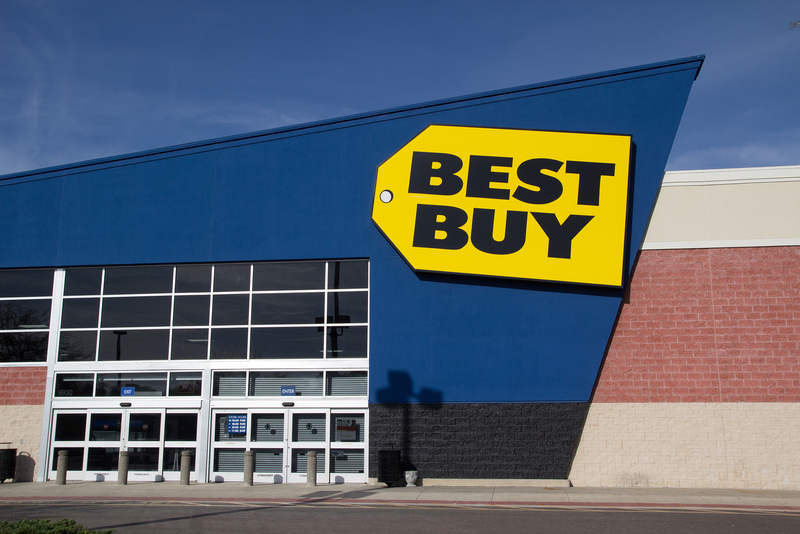 Best Buy will accept returns or exchanges on almost everything within 15 days for a full refund. They require the item(s) include all contents and packaging, proof of purchase and ID, in order to process a return or exchange. Mobile phone purchases must be returned within 14 days. Customers can return items in-store or through the mail. Best Buy provides a packing slip and a merchandise return form with online purchases; they also recommend customers use insured USPS or UPS to ensure proof of delivery for returns. Best Buy also offers an extended return and exchange program called “My Best Buy” which allows returns for up 45 days. Customers qualify for this extended return program by earning points for their purchases. Sears’ return policy is structured on a tiered system, ranging from 30 days to 90 days. The number of days from purchase that a customer has to return merchandise varies depending upon the item. Information on specific return timeframes can be found on Sears’ website. Sears is another online retailer that accepts returns via mail. The company provides a packing slip with every online purchase and shipping costs are refunded only if a product was damaged during delivery or if the wrong item was shipped. If these examples show us anything, it’s that return policies can vary widely. You have to decide which type of return policy is best for you and your business. Whatever your merchandise return policy, you may want to consider providing a return shipping label either right in the original package, via email or from your website. This will help make the returns process quick and easy for both you and your customers. If you choose to do this, be sure to check out Endicia’s Pay-on-Use returns solution. With Endicia’s Pay-on-Use returns you do not need to pre-pay USPS postage, giving you the flexibility to offer a return label without any out-of-pocket expense until the label is actually used. This makes it simple for your ecommerce business to offer free returns, or deduct the cost of the postage once the return has been made. Whatever your policy for returns, it’s important to make sure it is clear, concise and readily available so your customers know what to expect if they need to return a product.